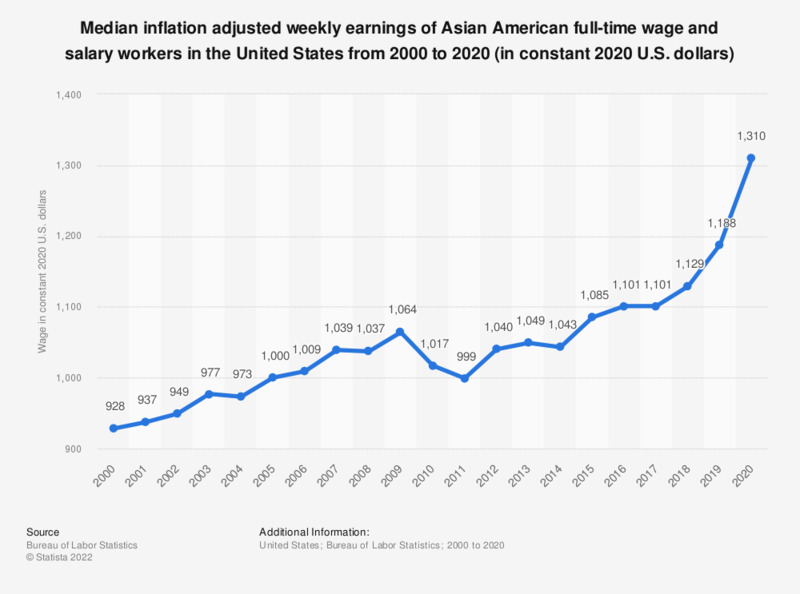 This statistic shows the median weekly earnings of Asian American full-time wage and salary workers in the United States from 2000 to 2017. In 2017, the median usual weekly earnings of an Asian American full-time employee in the United States of America amounted to 1,043 U.S. dollars. Dollar value is based on 2017 U.S. dollars.